A hit-and-run on the Beltway forces the Baltimore County police to reopen a 30-year-old kidnapping. No one thought trust-fund brat Chet Willoughby would make a good cop, but in the 20 years before he retired to care for his ailing wife, Evelyn, he cleared every case but one. Willoughby never learned why or how someone abducted Sunny Bethany, 15, and her sister Heather, 12, from the Security Square Mall, despite his dogged legwork and a burgeoning friendship with the parents: countercultural Dave, whose craft shop struggled until the unwanted publicity brought an embarrassment of customers, and his beguiling wife, Miriam, an Ottawa transplant whose alibi was an illicit liaison with her boss. Now a middle-aged hit-and-run driver is claiming to be Heather. Detective Kevin Infante has to evaluate that claim while dealing with ball-busting attorney Gloria Bustamante, the increasing reticence of her client and the demons of his own failed marriages. Social-worker Kay Sullivan gives the alleged victim the benefit of the doubt, but Kevin remains skeptical, even when his former partner Nancy Porter finds what could be corroboration in her cold-case files. The key to the case lies in the tortured memory of the victim, if she can just be persuaded to unlock it. 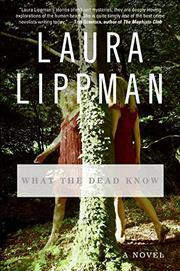 Lippman (To the Power of Three, 2005, etc.) crafts a tale that resonates long after the last page is turned.